PLEASE NOTE: The qualification is optional. The training will still be the same whether you opt for the level 1 or not. This is our 10 day plumbing course and consists of the first week being the 5 day level 1 intensive plumbing course and the 5 day advanced plumbing course both rolled together over a 10 day period. If opting for the level 1. 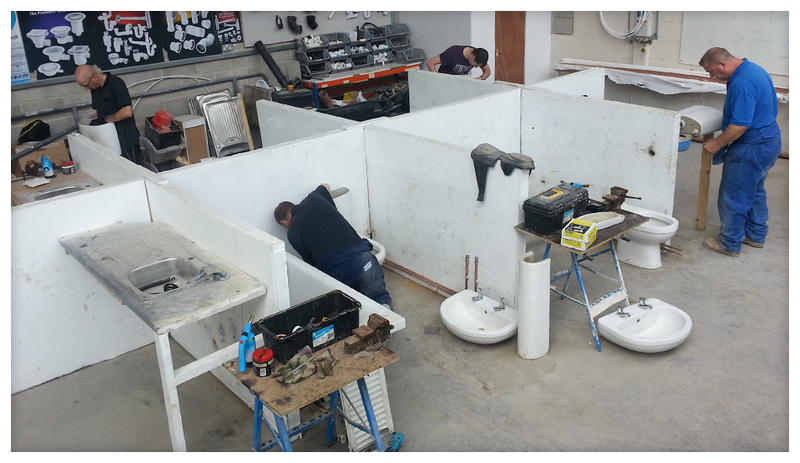 This is our 10 day level 1 intensive plumbing course including a level 1 nationally recognised qualification. When both the above units are achieved you will achieve the full level 1 qualification ‘Level 1 Award in Preparation for Plumbing Operations’. The level 1 plumbing qualification is accredited by Ascentis Awarding Organisation. Ascentis is both recognised by Ofqual and the Quality Assurance Agency (for Higher Education). The level 1 Award in Preparation for Plumbing Operations qualification is on the Qualification and Credit Framework, which allows credit accumulation and transfer and it requires no prior knowledge, attainment or experience. 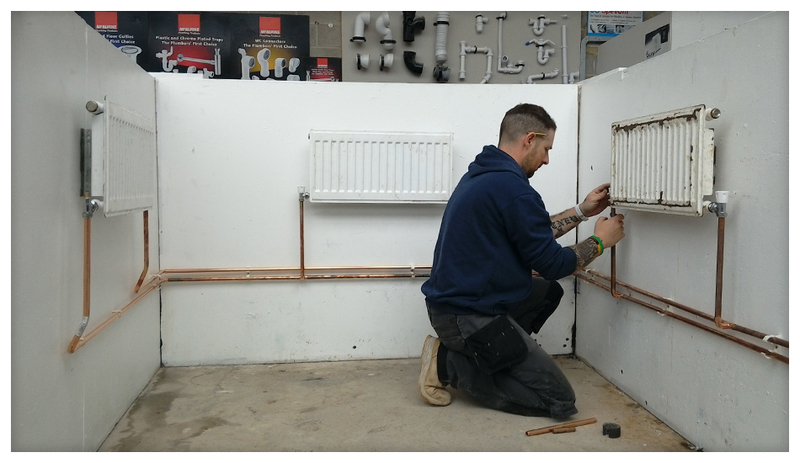 The 5 day intensive level 1 plumbing course is a very hands on practical course aimed at arming individuals with the knowledge and understanding to confidently take on plumbing jobs around the home or start up as a plumber offering a variety of plumbing services to your local area. The level 1 plumbing course is suitable for total beginners with no previous experience or tradespersons such as tilers, plasterers, joiners, kitchen fitters etc who wish to undertake plumbing tasks from changing taps, plumbing in a kitchen sink including a washing machine to full bathroom replacements including fitting of radiators in order to gain more work and income. In the current climate the tradesperson who can do the whole job to a customer tends to gets the more jobs leaving the customer without the headache of finding multiple trades to complete a home project. This plumbing course is aimed to give you enough skills to develop your expertise to a career in plumbing as many of our former plumbing candidates have or just to give you the confidence to take on plumbing projects around the house however small or large. 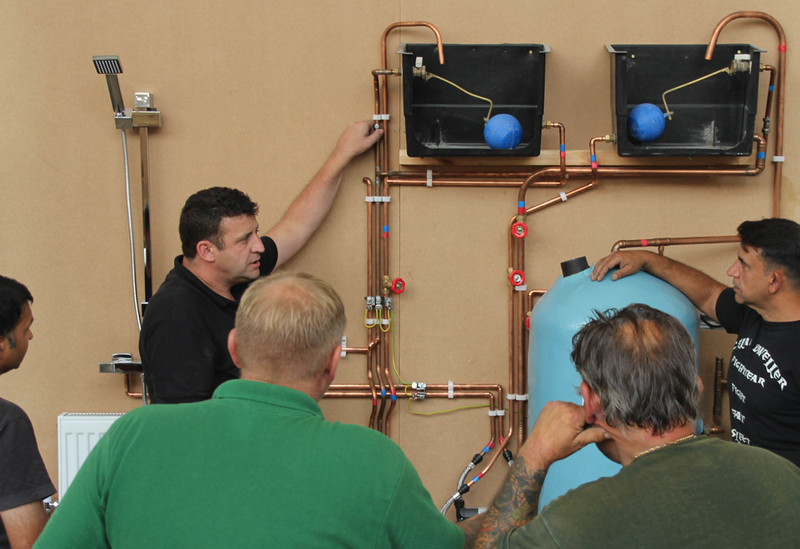 Our 5 day level 1 plumbing course will provide you with a great insight and understanding of the plumbing trade whether you are a total beginner or have some previous plumbing experience. Please feel free to arrange a visit prior to booking. Take the tour and have a chat to students actually on the plumbing course or just give YTA a call and we will be more than happy to discuss the course in more detail. Intensive Level 1 Plumbing Course Content. Working with and using 15mm and 22mm copper pipe and fixings, fitting isolation valves and pipe bending. Using a variety of fittings and tools to produce pipework. Installation of bathroom will be with copper pipe and fittings and you will use a pipe bender and soldering fittings to create a neat customer standard job. 1st and 2nd fix installations explained and planned before bathroom installing proceeds. Bathroom will be tested up to mains working pressure and should there be any leaks, they will need fixing! Before the toilet is installed a full strip down and explanation of internal cistern fittings and different types of flush mechanisms you will come across. Fault finding, diagnosis of toilet flush problems and how to repair different faults. How to fix faults and repair valves etc. Common plumbing call out jobs explained including an pricing projects, call outs and emergency call out work including hourly rates and plumbing day rates. Install a small 2 radiator system (3 radiators if your skills / timeframe allows) using copper pipe and fittings and again using the pipe bender to create a professional job keeping pipework neat and hopefully leak free! Fill your radiator system up to pressure and bleed the air out. Check for leaks and then undergo a common fault finding and valve replacement. Drain down techniques and heating systems explained. You will also remove a radiator with water inside and learn how to hang and refit radiators. Plumbing up a kitchen sink, hot and cold pipework and a tee off for washing machine / dishwasher. Kitchen is again plumbed in using copper pipe and solder fittings including end feed tap connectors! Then a strip down the taps and complete a tap washer replacement, tap washer reseat and o ring replacement. Servicing a tap and fault finding common repairs. Kitchen sink wastes, traps and all the varieties available will be explained and you can choose which to fit. You will have a working kitchen sink both supply pipework and waste pipework so confidence will be really growing by this stage! Next you will get your first job – add a garden tap to your completed kitchen pipework just like a real job! Then make sure it works. We then explain how to install a shower (thermostatic bar mixer and electric shower). We finish off with plastic push fit pipework and fittings and we will complete a small project such as a radiator, kitchen or if you really want to go for it we can re-do the bathroom in plastic pipe! Throughout the course the instructor will be going through how to tackle problems, real life solutions, replacement parts and fault finding and repairs. Pricing jobs, business start up is also covered. The course is aimed at you leaving on Friday afternoon and starting a plumbing job first thing Monday morning, either a tap washer replacement, change a radiator valve or install a bathroom. Fitting of tap connectors including flexi WC assembly including all internal fittings Fault finding and repair Bathroom taps and wastes fitted and explained. Plumbing in a complete bathroom and water testing under pressure !! Fitting of kitchen sink taps and waste ‘Strip down a kitchen tap, repair washer and re-test’ Plumbing in a kitchen sink with hot and cold outlets for a washing machine, then water testeverything under pressure. 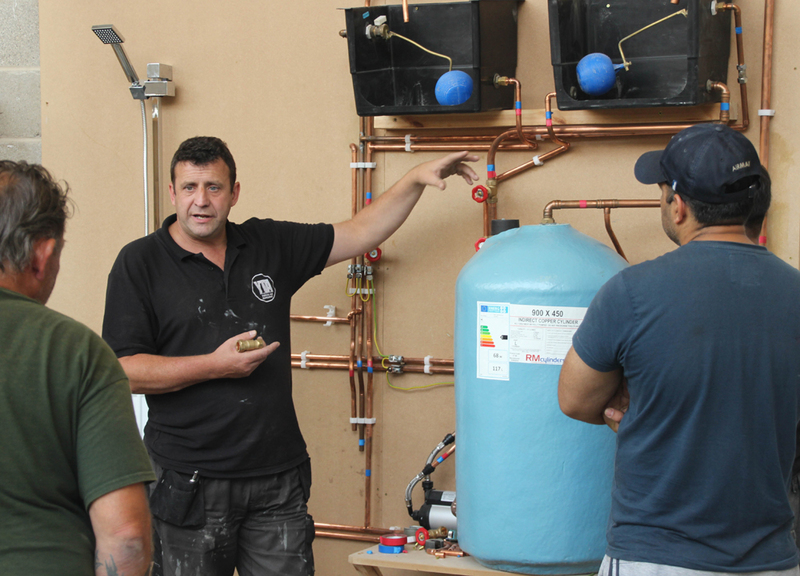 This 2nd week of the 10 day plumbing course is aimed at expanding on the first week and developing your knowledge of what the first week courses leave you with. 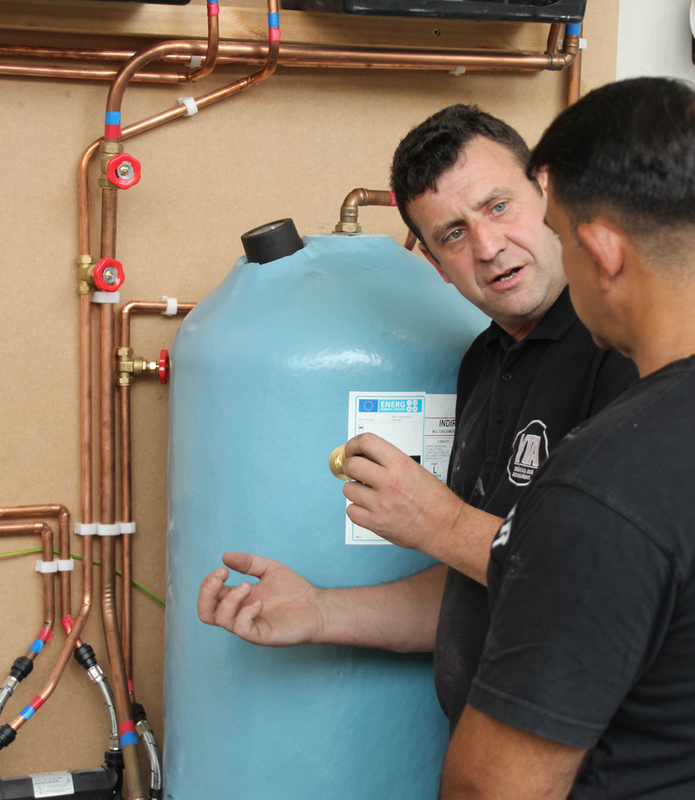 Although we do cover heating systems and installing a 2 or 3 radiator system on the first week, on the advanced plumbing course you will complete a fitting of a domestic hot water storage system. The course will also expand on the bathroom side and a full suite including thermostatic mixer shower and all traps, waste pipes including soil pipe and stack will be fitted. Rainwater guttering, hoppers and drainage will also be covered. Extra content covered on every YTA plumbing course. To book this course we require a £200 deposit. The balance of £1000 is the due on the first day of the course. PLEASE NOTE: More dates are available by calling 01274682199. This course runs every week.